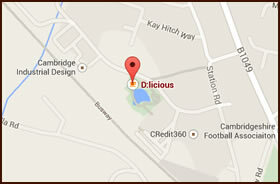 Coffee & sandwich bar Vision Park, Histon, Cambridgeshire CB24 9ZR Tel: 01223 568339 Opening times: Monday – Friday 7am – 3pm. We have a wide range of drinks available. We pride ourselves on our freshly ground coffee which is roasted locally using the finest Arabica beans. Please click here to access our full drinks menu We also stock a large range of cold drinks available in-store.